I can’t believe that it’s almost time to kick off the holiday season! Do you have any tennis lovers in your life or do you need a great captain’s gift or gift for your favorite pro? Tennis Players play hard and party hard. This Chambong is a great gift idea for the sophisticated party animal in your life. PlayYourcourt.com will send a certified teaching professional to the court of your choice, at a time that fits your busy schedule. They make it easy for you or your loved one to improve their game. Letote.com makes it easy to have access to an amazing wardrobe that includes tennis clothes, evening wear, athleisure and day to day clothes. Give your stylish tennis friend a free month here. Make someone smile with this fun stocking stuffer! 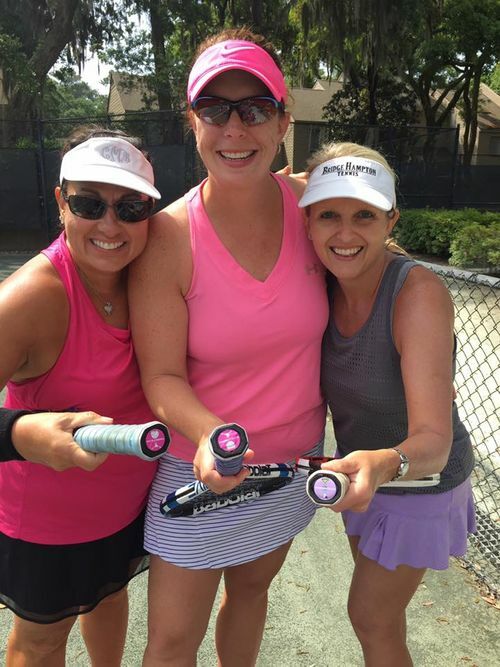 Tennis Butts are the fun way to kick off any tennis match and affordable gift for your favorite tennis team! See All The Tennis Butts Designs Here! The Perfect Tennis Necklace says it all - it’s well… Perfect! Available in Silver or Gold it looks great on or off the tennis court. Get one for yourself or your tennis bestie here! And a good reminder that this holiday season I hope you all Hit Happy! Happy Holidays!!! !